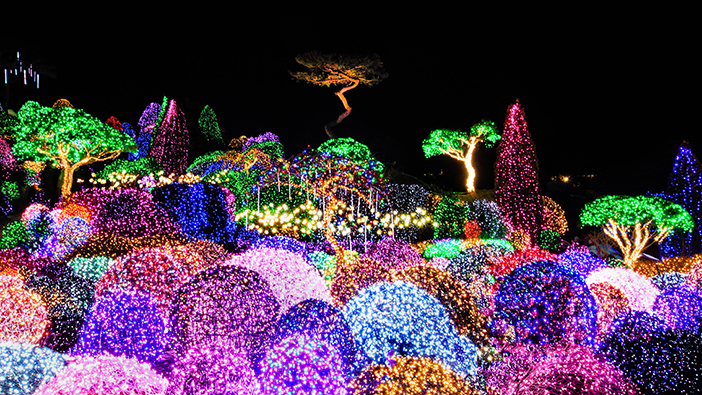 In winter, when the days become shorter than the nights, a diversity of lighting festivals begins not only in Seoul but also near the metropolitan area. 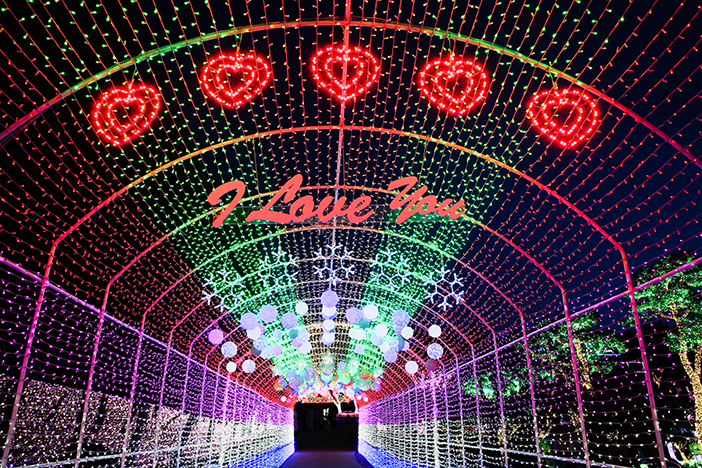 With LED lights, these lighting festivals create a fantastically bright, romantic atmosphere in the evening. Here are some great lighting festivals with fabulous decorations such as light tunnels and many more! 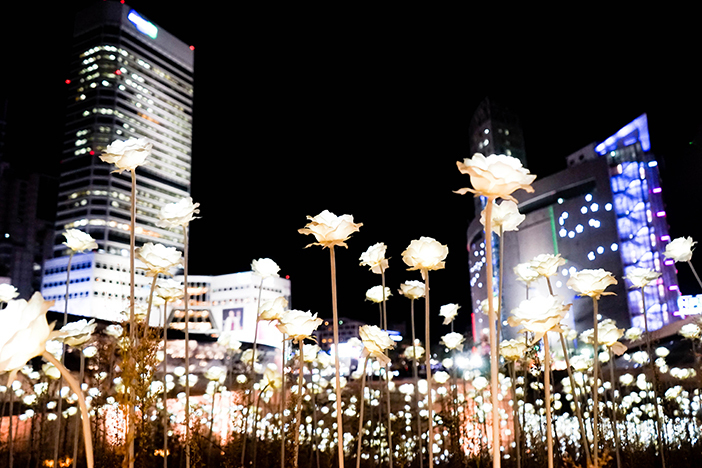 The LED Rose Garden at Dongdaemun Design Plaza (DDP) has transformed an open space into a beautiful night garden. Popular among couples, this is also a great place for nightscape photography. When night falls, a total of 25,550 LED roses light up, with impressive skyscrapers serving as the backdrop. The display began on National Liberation Day in 2015 as a celebration of the nation’s 70th year of independence. The number of roses on display corresponds to the number of days since liberation: 365 days multiplied by 70 years is equivalent to 25,550 roses. ☞ Directions: Dongdaemun History & Culture Park Station (Seoul Subway Line 2, 4, 5), Exit 1. Walk approx. 6 min. 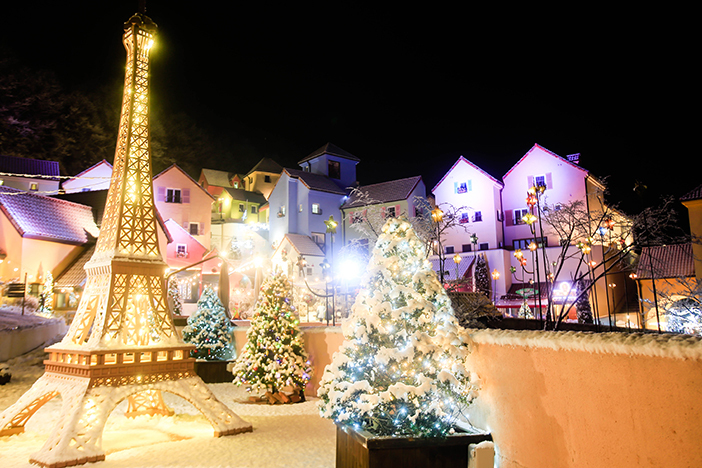 Petite France is designed as a small French village in Korea, and it is also recognized as a top filming location for popular Korean dramas such as “My Love from the Star (2013)” and “Secret Garden (2011).” The lights used for the decorations were directly purchased from France, and the design of the Little Prince Lighting Festival was inspired from a small suburban city of Montpellier, located in southern France. The buildings painted in pastel tones harmonize with the lights strung throughout the village to create a fairytale atmosphere. Performances such as “Do Minjun's Supernatural Power Time,” “Marionette Dance Performance” and other exciting programs are available as well. 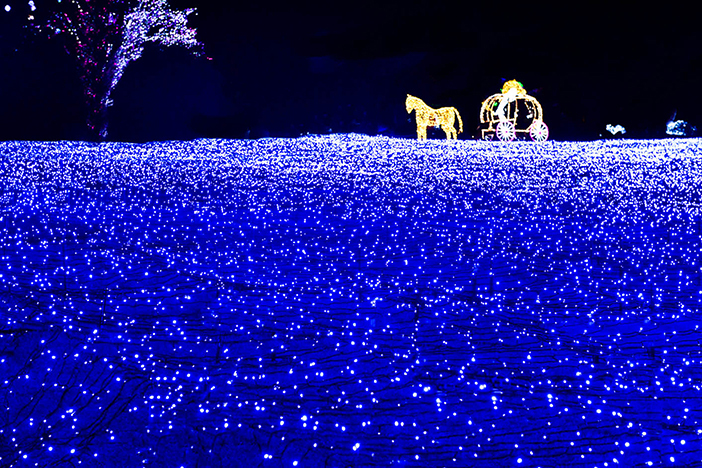 The Ansan Starlight Village hosts a beautiful year-round lighting festival designed to match each season. The theme for winter is Animal & Heart Village which has over 200 animal displays and is popular with guests of all ages. The many areas to explore within the Ansan Starlight Village include White Road, Cupid Road, Rain Road, Propose Road, and Garden of Light. For an extra fee, visitors can enjoy the Mirror Maze as well. The colorful LED lights all throughout the park create a romantic atmosphere that is perfect for taking pictures with family and friends. Pocheon Herb Island in Gyeonggi-do is a beautiful arboretum by day, but when the sun goes down, the garden transforms into a romantic space lit by colorful lights on every side. When the Herb Island Light Festival begins the countless LED lights brighten the garden in the theme of fairy tales. The attractions are endless, from the lovely pink wish tunnel to Santa’s Village, featuring Santa House and Santa Church. The photo spots throughout the park are why it is popular among couples. The Garden of Morning Calm, nestled in the pristine nature of Chungnyeongsan Mountain, showcases the traditional beauty of a Korean garden. 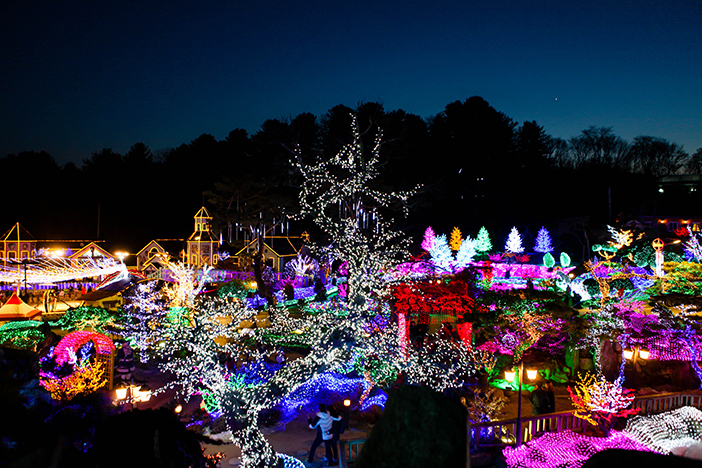 Every evening in winter, the arboretum glows with multi-colored lights in various themes throughout the gardens, including Korean Theme Garden, Morning Plaza, Road to Heaven, and Moonlight Garden. Visitors can see giraffes, deer, bears and other forest animals, as well as a starlight tunnel in the Hometown Garden. The bright lights that decorate the grassy plaza display a nightscape that will never be forgotten. ※ Shuttle bus from Cheongpyeong Station and Cheongpyeong Bus Terminal is also available. Please check the official website for more details.